For a front-end developer, coding up similar code every project is pretty boring and time-consuming, but historically it’s been inevitable for things like the site layout or web user-interface elements. The solution to this is a ready-made framework, and there’s none better than Bootstrap. This little beauty was initially created by two Twitter developers – Mark Otto and Jacob Thornton – for internal use, but they quickly recognised its potential for greater things, and in 2011 they released it to the public. Now, some five years down the line, we’re awaiting the release of Bootstrap 4, which is currently in alpha-testing stage. 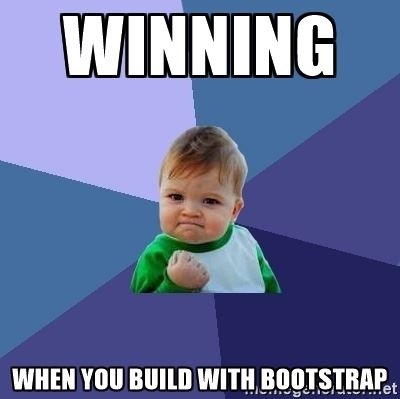 So, what makes Bootstrap such a great framework to work with? One of Bootstrap’s key features is the use of fluid grid layout. You have 12 columns’ worth of space to arrange your design, and it is built upon similar principles as the 960 grid system. Each column is then set by how much space it takes up. This allows for quick and easy interchangeability when designing/developing a website. When your browser/screen hits tablet and mobile sizes, the columns easily fold down to ensure the page doesn’t break. For example: at tablet view, a four-column layout will fold down to two columns, creating a 2x2 set of boxes. It’s this straight-out-of-the-box simplicity of the grid layout that makes it easy for both designers and developers to work with. To start using Bootstrap you have to download the core files, which can contain some features that you won’t even use for some projects. But with the handy Customise page you can choose which features to include and set custom names for the variables available. Your custom bundle will then be instantly generated and ready for you to download straight away. It’s that easy and your developer can then build on this. This is one of the great banes of any front-end developer’s existence. You don’t even want to mention Internet Explorer when this comes up. 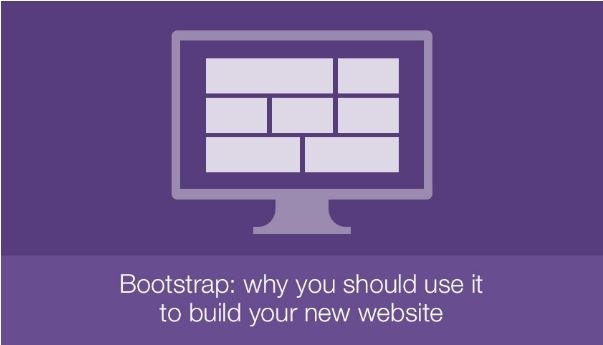 But not to worry, because Bootstrap has a lot of the hard work already done when it comes to making sure your website looks great across all browsers. One of these handy features is the mobile-first approach. This is where a website is coded up as a mobile website and depending on browser or screen sizes, will use responsive design to stretch it to tablet or desktop sizes. This update was introduced in Bootstrap’s third version, and marked a major progression in its development, as it was reworked from the ground up with Responsive Design at the forefront. Making a website is not a one-person job, and the collaboration between the designer and the developer is crucial for a smooth project. When both designers and developers are using Bootstrap, communications will be improved as they’ll be ‘speaking the same language’, as it were – developers will be able to translate designs to build working prototypes. It is the consistency provided by Bootstrap – with its simple grid layout and various pre-defined styles – that makes this possible. You’ll find Bootstrap on GitHub – a community for developers to share and collaborate on either team or solo projects. Files are uploaded as ‘projects’, and users can contribute towards the code. Bootstrap is updated frequently, with good documentation on the latest changes and bug-fixes. You can find the latest and older releases on the Releases page. This means it’s still relevant with the latest web technologies and any website, whether it is in development or already built, won’t fall behind. 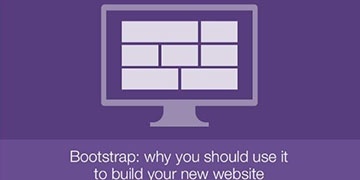 Well, there you have it: five good reasons to have your website built using Bootstrap. The list could go on and on. Does this sound good to you? Get in touch with us to find out what we can do for you. You’ll find some great themes here. Because it is all built in Bootstrap, you can even mix and match elements. Cheatsheets are always handy, because you can use them to quickly refresh your memory on how to do certain things. Luckily Hackerthemes have made this really simple-to-use online version. As well as the documentation on GitHub, you can find more information on the Bootstrap blog.